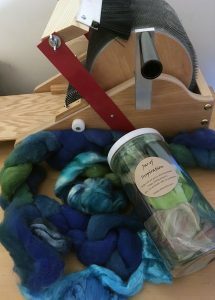 Most spinners have a stash of fibers at the ready for when inspiration strikes – and if a new fiber doesn’t make it onto the bobbin right away, it may get pushed to the bottom of that stash. Forgotten fibers run the risk of becoming compressed, which makes them more difficult to process and spin; unfortunately, that can also make them less desirable. 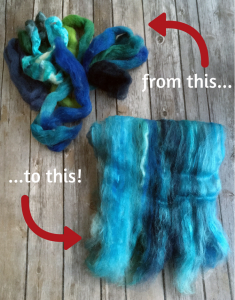 In today’s post, we’ll show you how to give these “forgotten fibers” a makeover to create stunning batts you’ll want to spin with! Begin by digging to the very bottom of that stash! Are there any fibers that haven’t seen the light of day in several months or years? Perhaps you have some rustic fibers that are beautiful in color, but aren’t as exciting to the touch. 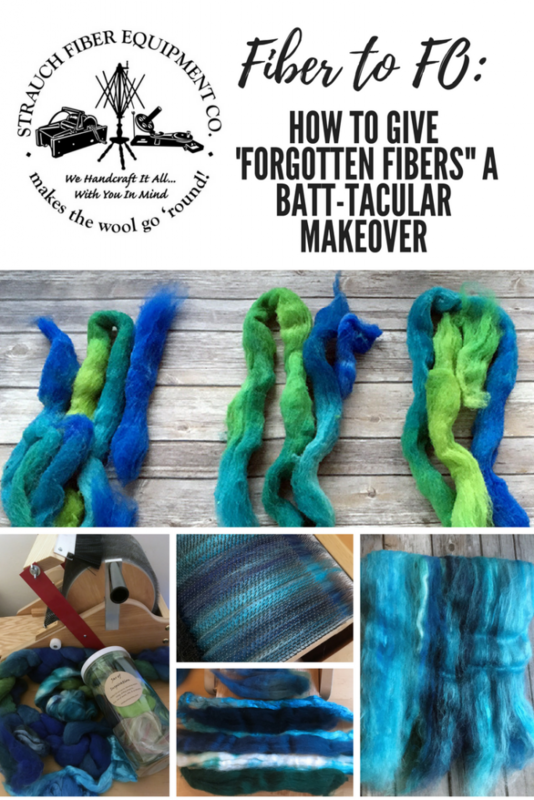 These “forgotten fibers” are the perfect candidate for your fiber makeover, and will comprise at least half of each 1-oz batt you create – so make sure there is enough of this base fiber for your desired project. Just as there may be forlorn fibers lurking in your stash, there are probably also those random bits and bobs you collected over the years: fiber samples that came in a swap package or online order, leftover bits from a previous project, or those mysterious fibers that seem to show up (and multiply!) all on their own. You don’t have to limit yourself to prepared fibers, either – locks and other add-ins can add sparkle and texture to your resulting batt (click here to read our Guide to Additives from the Strauch blog archives). 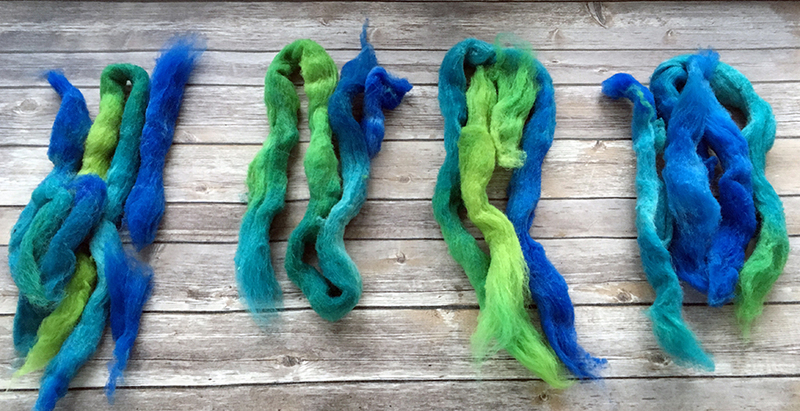 Pro Tip: Especially if your Main Fiber is a little rustic or coarse, focus on softer and more luxurious Blending Fibers to add softness and spin-ability to your batt! The colors you choose will vary based on personal preference, but we would be remiss if we didn’t cover the basics of color theory here. 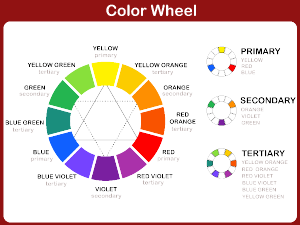 As you can see in the color wheel above, there are three main groups of colors: primary, secondary and tertiary. A primary color can be used to create all other colors (both secondary and tertiary) – think of them as the “building blocks” of color. For the purposes of choosing colors for your batt, a color wheel can be useful to find the hues that are similar in value (that is, the colors on either side of your chosen color) or the color that will “pop” when paired with your main color (usually, this is the color that is opposite your chosen color on the wheel). Keep in mind that the temperature of each fiber’s color will also play a role as to whether or not they will “clash” when blended together. The right half of the color wheel comprises the warm colors of the spectrum, while the left half comprises the cool. Also remember that there are some combinations of colors known as “complementary colors” which cancel each other out when paired together. In terms of fiber blending, this can be an undesirable effect, as the colors can become a muddled grey or brown. If you are struggling with choosing your colors, try using an “inspiration photo” as we have done in several previous posts (click here to check them out). Once you have chosen your fibers, it’s time to weigh each one so that you can divide them into groupings for each batt. The amount of fiber that your drum carder can comfortably hold will vary by model; in the example here, we are using a Strauch Petite to create a series of four 1-oz batts. Keep in mind that you will have a little bit of waste fiber during the process, so it’s best to have more fiber than you’ll actually need. If you wish to have each batt made up of the same exact blend of fibers, your math is quite easy: divide each fiber’s total weight by the desired number of batts (in this example, 4) to determine how much of a given fiber should be blended into each batt. 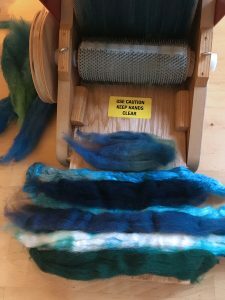 For a more varied set of batts, you can evenly distribute a portion of your fibers across all 4 batts, then choose specific fibers which will only be used here and there. Just make sure that the total weight for each fiber grouping is approximately 1 oz! If you haven’t already, click here to sign up for our newsletter & receive our FREE Batt Planning Worksheet PDF to help you keep track of your project. Fiber Distribution across each batt: .65 oz Main Fiber, .5 oz Mixed Fibers (note: only 2 batts had Mohair Locks; Mixed Bamboo and Mixed Merino Fibers were distributed across all 4 batts as you can see in the photo above). Pro Tip: Be sure to tease out all fibers prior to processing. Divide your Main Fiber in half and blend the first half onto your drum carder to get a good base layer. Begin processing each of your chosen Blending Fibers in whatever order you like – you may choose to create a gradient pattern or striping pattern across the width of the drum, or you could also blend fibers at random. Anything goes! When you have processed all of your Blending Fibers, card the remaining portion of Main Fiber. Remove your batt and repeat for each fiber grouping! In our next blog post, we’ll share tips for working with batts to create beautiful handspun yarns as the second installment in our new “Fiber to Finished Object (FO)” Blog series. We hope you’ll share your own Fiber to FO project with us on Instagram using the #strauchfiber hashtag! This entry was posted in Carding and tagged batts, drum carding, fiber to fo. Bookmark the permalink.